If you are looking for a list of things to do in Athens, GA, consuming alcohol would easily make the top three most popular items. The Miller beer distributor serving Athens is the nation’s largest, and that is for a good reason. Because Clarke County has so much alcohol consumption, criminal defense attorneys are in high demand. Plus, the high search value of “DUI attorney Athens GA” exceeds Google’s paid search results for other major cities in Georgia, like Marietta, Atlanta, Savannah, Columbus, and Macon. Athens Municipal Court in Athens, GA processes over 95% of Clarke County’s DUI arrests. Outside metro Atlanta, this is one of the busiest criminal courts in Georgia for driving under the influence charges. Because Athens, GA is a youthful city, with about 65% of the County’s residents under the age of 27, alcohol plays a significant part in the arrests and traffic citations for criminal offenses. This means that many cases are UGA students under the age of 21 and visitors to the campus charged with DUI. Driving under the influence cases, underage possession of alcohol, and marijuana possession cases require a top-rated Athens GA DUI attorney to be able to hope for a great outcome. Athens-Clarke County GA has one of the State of Georgia’s most comprehensive and aggressive law enforcement communities. So, it makes sense to hire the DUI attorney who is known statewide for authoring the leading legal treatise on Georgia DUI laws, published by the world’s largest legal book publisher, Thomson-Reuters-West Publishing. Bubba Head is far and away the best DUI attorney Athens GA has to offer. National magazines, for over four decades, have identified UGA as one of America’s top party schools, for college students. With social life blending those under age 21 with those over 2i years of age, underage consumption of alcohol is a daily event. For example, beyond DUI under 21 cases, charges for underage drinking, or possession of alcohol under 21 cases in Athens-Clarke County, GA exceed the total possession of alcohol by a minor charges booked in Atlanta (Fulton County), or Marietta (Cobb County), or Lawrenceville-Duluth (Gwinnett County) in any given year. This is significant, because all three of these metro Atlanta counties boast populations of nearly 1 million residents compared to Athens’ population of about 125,000. 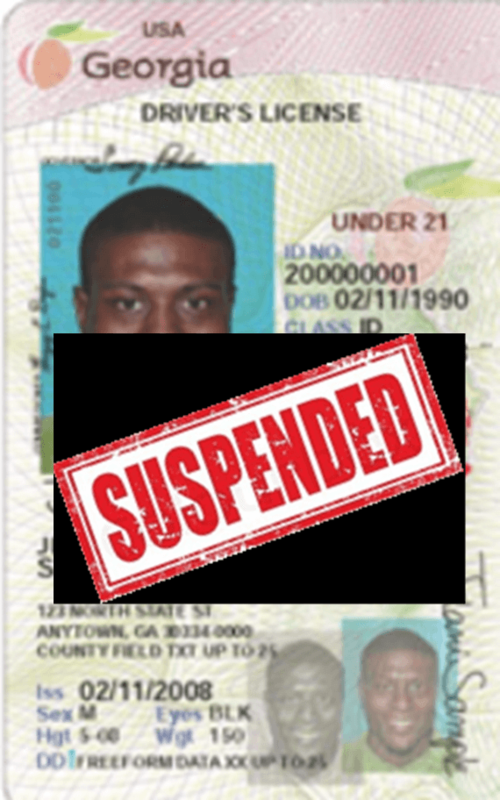 Plus, any conviction for DUI or reckless driving will suspend the underage driver’s license in Georgia. MIP (minor in possession) cases are now being made by citation, and not by arrest and a trip to the Clarke County jail, following a WSB-TV news story in 2012 about the over aggressive arrests being made in Athens. The Georgia Legislature modified Georgia law to take away the right of Athens Police to arrest, absent some other crime being detected (fake ID, obstruction, disorderly conduct, etc.) 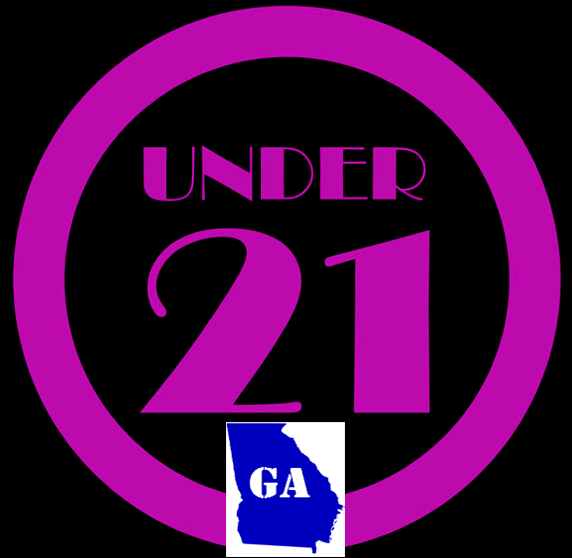 Read this Atlanta Journal-Constitution article about Athens, GA underage drinking. The Athens-Clarke Municipal Court is a non-jury, entry-level court that acts as a filtration system for the jury court for misdemeanor DUI cases at State Court of Athens-Clarke County. Every criminal case settled in Athens-Clarke County Municipal Court is one less case that clogs up the Athens-Clarke County State Court, where criminal jury trials and civil “tort” law cases dominate the Court’s time. Because this Athens-Clarke County Municipal Court is one of about six in Georgia with a hyphenated city-county name, people commonly search for “Athens Municipal Court”, “Athens County Municipal Court”, or “Clarke Municipal Court” when they are seeking information on their DUI or underage possession case. 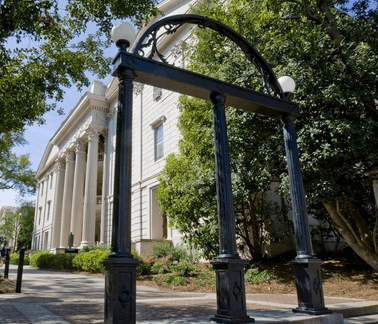 When the UGA students get in trouble, they think about hiring the best DUI attorney Athens GA has to offer, preferably an alumnus familiar with the local courts. When a DUI arrest has occurred, many of these students are assisted by their parents, in hiring an Athens GA criminal defense attorney. Due to its consolidation more than 30 years ago of municipal and county functions, the Municipal Court of Athens–Clarke utilizes a unique “path” for misdemeanor arrests in Athens, GA. Officers with the Athens-Clarke County Police Department (ACCPD), the University of Georgia Police Department (UGAPD), and the Georgia State Patrol (GSP) write all of their GA DUI citations and other traffic offenses for a first appearance court date in the Athens-Clarke County Municipal Court. This non-jury court is located on the first floor of the Athens-Clarke County court building at 325 E. Washington St., Athens, GA. Ms. Rhonda Bolton is the Clerk of Court in Athens, and she has a caring and remarkable staff of deputy clerks to help you. The phone number of the Clerk of the Athens Municipal Court is 706–613–3690. Athens DUI Arrest – I Need a Lawyer – Do I Need a Lawyer For a DUI? A DUI conviction is FOREVER. No expungement for the rest of your life. Georgia DUI laws have no first offender act. DUI law in Georgia has no diversion, deferral or youthful offender provision. A DUI conviction can dramatically limit future job opportunities, especially for top employment opportunities. 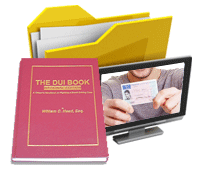 DUI consequences and DUI penalties are extensive and lifelong. See William Head’s list of 97 Consequences of a DUI Conviction. Hiring an Athens GA DUI attorney to guide your criminal case through the legal system is a wise choice because a DUI conviction is not eligible for pretrial diversion and a DUI conviction cannot be expunged. 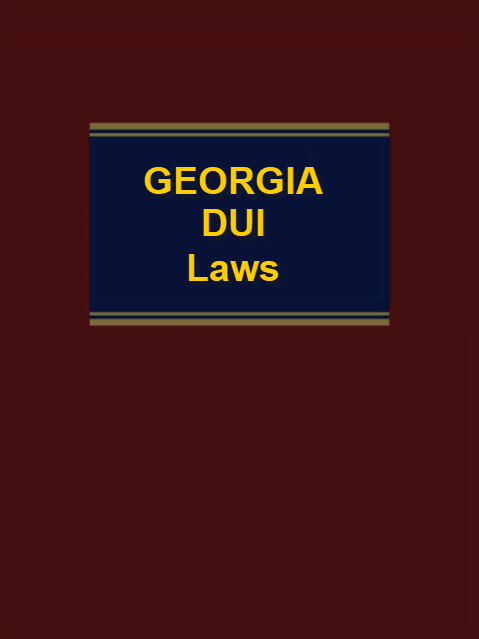 Georgia DUI laws prohibit a “first offender” plea. A DUI nolo contendere plea is rarely allowed in Georgia and (except for shielding possible damages in a related civil car accident case) is no better than a guilty plea on your criminal record. So why wouldn’t you hire the best DUI attorney Athens GA has to offer? Is a Jury Trial for DUI Available? If your misdemeanor DUI case cannot be resolved to your satisfaction in Athens-Clarke County Municipal Court, you can have your Georgia DUI attorney demand a trial by jury and your case will be transferred to the State Court of Athens-Clarke County. At the Athens-Clarke County State Court, a jury trial of six citizens will be held (under Georgia law, misdemeanor trials have six jurors, while felony trials have 12 jurors). 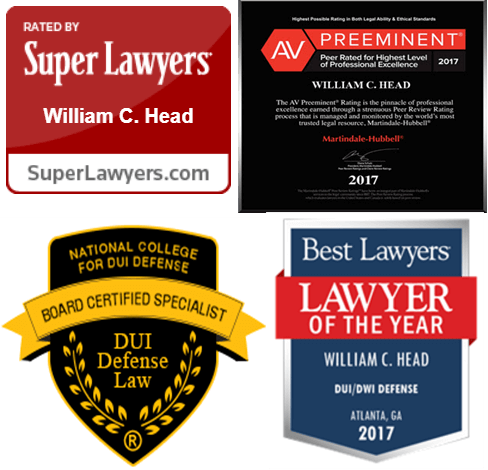 The formula for winning is to hire the best DUI lawyer by comparing credentials of your selected DUI attorney Athens GA to the attorney reviews and lawyer ratings of William C. Head, drunk driving book author in Georgia for over a quarter of a century. 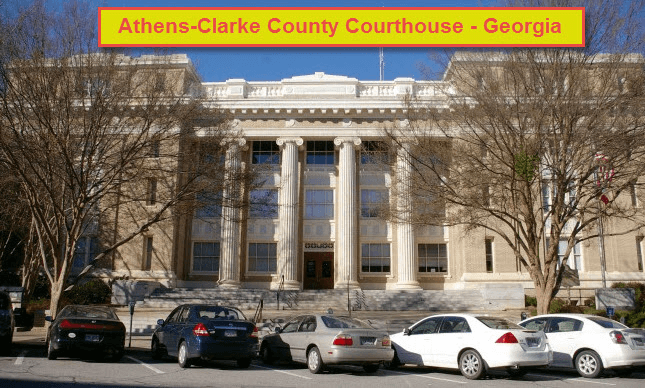 Do I Have a Chance to Win a DUI Jury Trial in Athens-Clarke State Court? So, since juries in Athens are open to listening to the facts and making a very fair decision, opting for a jury trial in the State Court of Athens-Clarke County has decent odds of winning a DUI, especially when a top DUI lawyer is defending your drunk driving case. When your DUI case becomes “contested”, you need a criminal defense attorney who specializes in DUI defense to assist you. If you want to win your DUI case, then it is imperative that you retain best DUI attorney Athens GA has to offer. Sometimes special forensic science issues arise in DUI prosecutions. Plus, no other criminal case except DUI GA deals with Georgia implied consent law, which often controls the admissibility of breath alcohol results, blood test results, or urine testing procedures. Additionally, field sobriety test “evidence” must be either eliminated from the evidence, heard by the jury, or explained by use of a DUI expert witness. The State Court of Athens-Clarke moves very quickly on its DUI cases and will fast-track a second DUI on an even faster processing schedule. In fact, a DUI second offense case is often immediately transferred to the Athens-Clarke County State Court, by the Solicitor, who oversees both courts. This is because Athens-Clarke County State Court is the oldest and most respected DUI Court location in Georgia, and repeat offenders will be encouraged (or even coerced) into taking the DUI Court option so that intensive probation and rehabilitation efforts can be utilized to stop the cycle of DUI arrests. If you need more time to weigh your options or finish school, why not retain the best DUI attorney Athens GA has to offer? If I Don’t Go to DUI Court, What is the Jail Time for a Second DUI Offense? For a garden-variety DUI second offense (no accident, no bad behavior toward police) jail time of 60 days to 90 days in not uncommon, especially if you have 2 DUIs in 5 years. By entering the lengthy and intensive probation supervision and addiction treatment program of the Athens DUI Court, you can “earn” your way out of this threatened jail time. One of the problems for people with a 2nd DUI in GA is that many do not have any driver’s license with which to get to and from all the DUI Court meetings. The weekly appearances at DUI Court clash with most people’s job requirements. Twice a week, or more, a person in DUI Court in Athens, GA will have some reporting, counseling, or drug screening to perform. People whose jobs require them to be on the road or fly to business locations cannot make this work. Plus, a person with a second DUI must be a resident of Athens-Clarke County to even be considered in the DUI Court program in Athens. If DUI Court is not a viable solution for you, retaining the best DUI attorney Athens GA has to offer is paramount. How Do I Get in Touch With State Court of Athens-Clarke County? If your case is transferred from the Athens-Clarke County Municipal Court to the State Court of Athens-Clarke County, the Clerk of State Court is Beverly Logan. Her office number is 706-613-3190. This office is also at the Athens-Clarke County Courthouse, on the Fourth Floor. So, for Athens-Clarke County arrests by either ACCPD, UGAPD or GSP, your case will follow this path through the criminal court system. Plus, while different clerks of court preside over arrests in Athens, the same prosecutor handles the Athens-Clarke Municipal Court and the Athens-Clarke State Court. That prosecutor (called the Athens-Clarke County Solicitor) is Carroll “CR” Chisholm. His office phone number is 706–613–3215. Different Assistant Solicitor General prosecutors are assigned to the different (Municipal Court or State Court) courtrooms because both courts in Athens operate simultaneously. The large State Court of Athens-Clarke County is on the Fifth Floor, with a smaller courtroom on the Fourth Floor where non-jury hearings are conducted. As stated earlier, the entry-level court for most Athens DUI arrests will be processed through the Municipal Court of Athens-Clarke County, on the first floor of the Athens Courthouse. 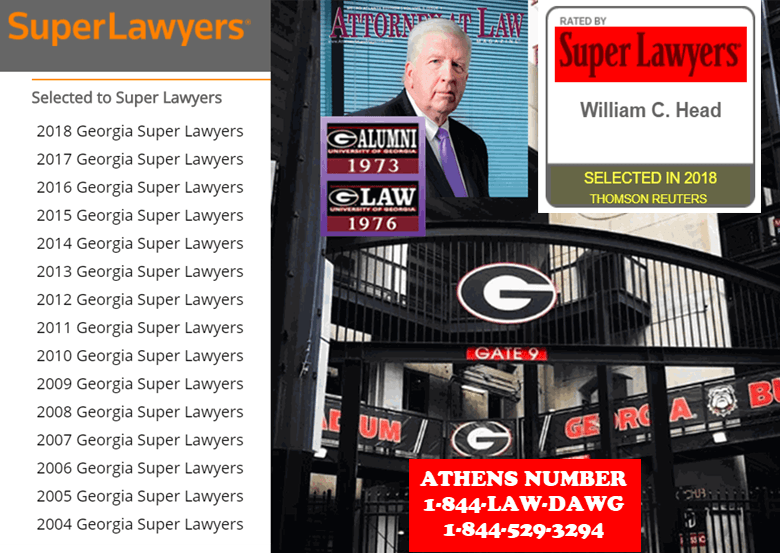 Why Am I Receiving Direct Mail From Athens GA DUI Attorneys? When searching for a criminal defense attorney Athens GA, you may be solicited by some cheap DUI lawyers who invade your privacy by sending you a direct-mail solicitation (known as “jail mail,” since they harvest arrest records for your personal information), so that they can solicit your legal business. If you try to find an analogy for this invasive marketing tactic, you would be extremely hesitant to go to a physician based on direct-mail solicitation flyers. Several Athens DUI attorneys and some Atlanta DUI lawyers use this invasive “marketing method.” Most direct mail DUI lawyers are generally seeking a quick resolution (in exchange for charging you a low fee). 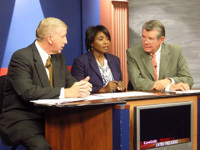 For DUI lawyers with top credentials, a contested DUI case will take a DUI lawyer between 25 and 50 hours to investigate, attend hearings including the DDS GA administrative license suspension hearing, attend the arraignment, conduct pretrial motions hearings, and cover other scheduled court dates in Athens-Clarke County State Court, including trial (when needed). How Can I Find the Best DUI Lawyer for My DUI Case in Athens GA? By checking Athens DUI attorney ratings with these nationally-recognized, four independent, peer-reviewed, quality-driven lawyer rating services, you will not find ANY “jail mailers” with these credentials: (1) NCDD.com “Board-Certification” in DUI Defense; (2) Best Lawyers in America [bestlawyers.com]; (3) Martindale-Hubbell 5.0 “av” and preeminent rating [martindale.com]; and (4) SuperLawyers.com recognition. Most direct marketing DUI attorneys will not have any of these ratings. 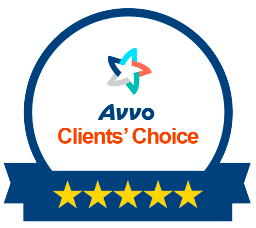 [For more about these lawyer reviews and credentials, CLICK HERE). In Georgia, who is the best criminal defense attorney to ask how to get out of a DUI? The answer is Athens DUI lawyer William C. Head (his nickname is Bubba Head), who has negotiated reduced pleas and handled jury trials and bench trials for over 41 years. 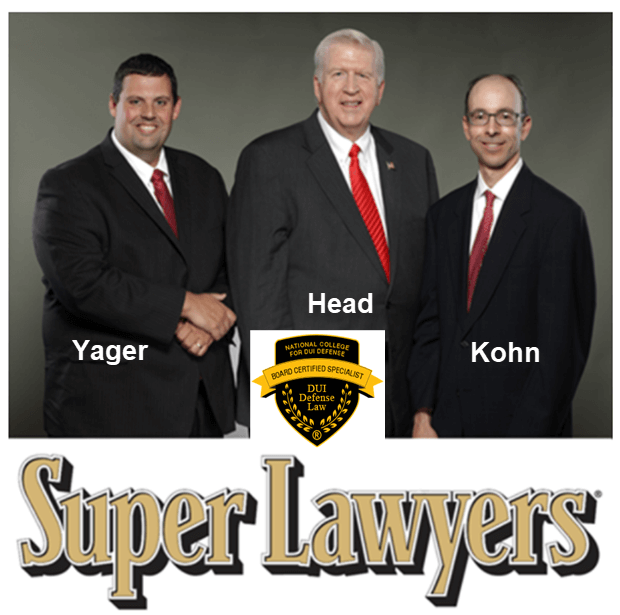 He and the other two law partners, Cory Yager (an ex-DUI cop) and Larry Kohn, practice with Mr. Head at his DUI law firm. All three criminal lawyers in Atlanta, GA are ready to assist with an arrest in Athens or to help resolve an underage possession of alcohol case or a marijuana possession case. 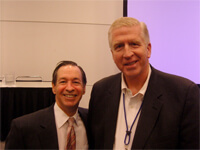 They are top-rated DUI lawyers, with thousands of happy, satisfied prior clients. So, hiring a DUI attorney in Athens, GA is an important decision. Seeking a criminal defense attorney who specializes in drunk driving law is essential. He or she should have gone to trial over 50 times – in driving under the influence cases – to really be called a DUI lawyer. When you consider Athens, Georgia attorneys for your criminal case, ask these questions before you hire your Athens DUI lawyer. William C. “Bubba” Head was sworn in as an Athens, GA DUI attorney on June 10, 1976. That means he has 41+ years of experience in Athens Clarke County. Some of his Athens DUI cases have made national news for the innovative DUI defense strategies he used to beat a DUI. Ask him for a copy of some of these news items when you call for your criminal defense lawyer FREE consultation with Mr. Head or another one of his Athens attorneys, who are also DUI lawyers. 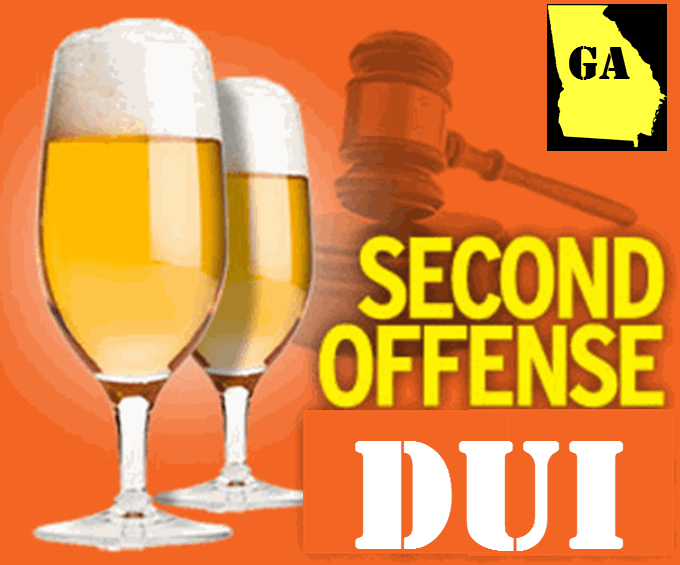 Get Mr. Head’s free DUI book (430 pages) in PDF attachment, his FREE DUI penalties list (“97 Consequences of a DUI Conviction”) plus his FREE white paper on the relationship between your Athens-Clarke County arrest for DUI (criminal case) and the civil DUI administrative license suspension notice that the arresting officer filed with the Georgia Department of Driver Safety (DDS Georgia). To contact Mr. Head, call his statewide toll-free number at 1-888-384-4323 (1-888-DUI-HEAD), or the firm’s direct, TOLL-FREE line in Athens at 1-844-LAW-DAWG [1-844-529-3294]. You will get immediate assistance and our unique package of information on Georgia DUI laws, the full cost of a DUI in Georgia, and all DUI penalties – both at court and once you have a DUI conviction, for decades thereafter.